Wonderful World Book Day! Great costumes everyone! Fantastic India Day! Looking at artefacts. Wow! Amazing performance in your Christmas play, Puffins, brilliant singing and acting! We've started rehearsals for our Christmas performance! Working very hard on our Christmas performance! We have started our topic of The Great Fire of London! Hello and welcome to Puffin Class page 2018/2019! Tuesday we made birdfeeders as part of bird day! We made them from lard and birdseed. 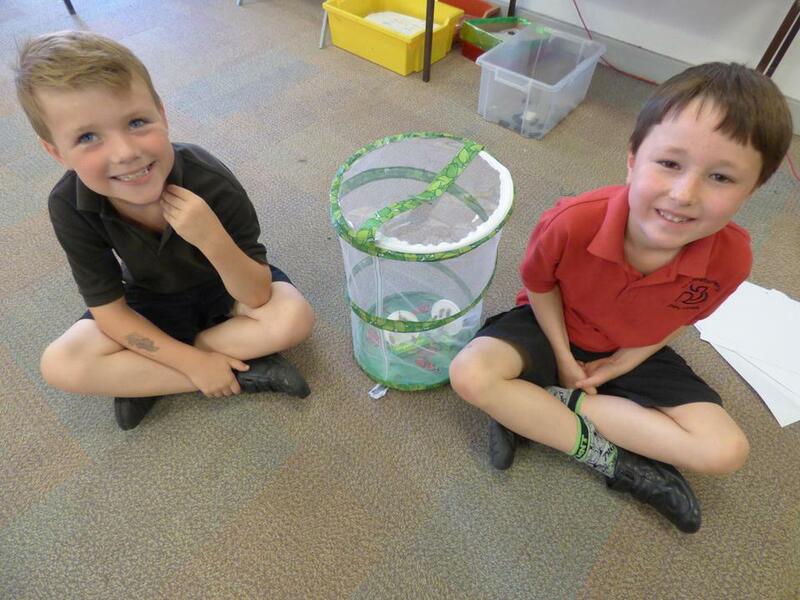 Yesterday we released 10 butterflies into the wild. We discussed why we were releasing them and that we could not provide opportunities for them to lay eggs and find food. We also discussed what would happen to them in the wild. It was a sad moment but we all agreed it was important to release them. Exciting News! During science we have been looking at lifecycles of animals and humans, we are pleased to say we took delivery of 10 caterpillars, we have watched them grow and shed their skin, finally today they formed their chrysalis and we are waiting for them to turn into beautiful butterflies! British Values in Puffin Class..
Puffin Class looked at the laws they would like to invent. Ask if you would like to take something from someone. We thought they were really good laws! We acted them out using freeze frame. Here the children are freeze framing cleaning up after themselves.